I’ve written a few, but a virgin doesn’t really work with the stories I tell. I have no problems reading romance stories that have a virgin as a female protagonist. One of my auto-buy authors writes virginal heroines almost exclusively and it works with her themes and core story. Would it be difficult to change the way I tell a story so my heroine is a virgin? Yes. I guess I could take a shortcut and briefly mention her lack of sexual experience. But if it has no bearing to the story, the relationship or even the moment, why bother? Maybe the question shouldn’t be about why I don’t write a virginal heroine. I think the real question is: why should I? Some authors would say I need to write a pure and innocent female protagonist because virgins sell in romance. These writers will make a point of creating a virginal heroine because it will appease their target audience and more copies of the book will sell. While I understand the financial benefit to do this, I don’t think this method is always successful. There are stories in which it doesn’t make any sense at all why the heroine is a virgin—or why her level of sexual experience is an issue. Unfortunately, it is an issue for many romance readers. Why? Why is it important for the heroine to be a virgin? And why is it expected—even encouraged—for the hero to border on being sexually indiscriminate until he meets the heroine? I’ve heard arguments that it’s hard-wired in us to want the woman to be chaste. Blame it on biology, our DNA, traditional gender roles, etc. There’s supposedly some evolutionary reason that a man should expect exclusive sexual and reproductive rights from the woman he marries—even before a commitment. I disagree. It’s my belief that the demand for a virginal heroine in romance stories is preference. If it was based on science, gender roles and expectations would be the same across generations and cultures. From what I’ve seen in book reviews, online discussion and in my inbox, some readers want a virginal heroine because they don’t think a sexually active heroine is worthy of a happily-ever-after. That goes against my core story (and against the grain). I have written about “bad girls” who find their happily-ever-after with men who love them unconditionally. 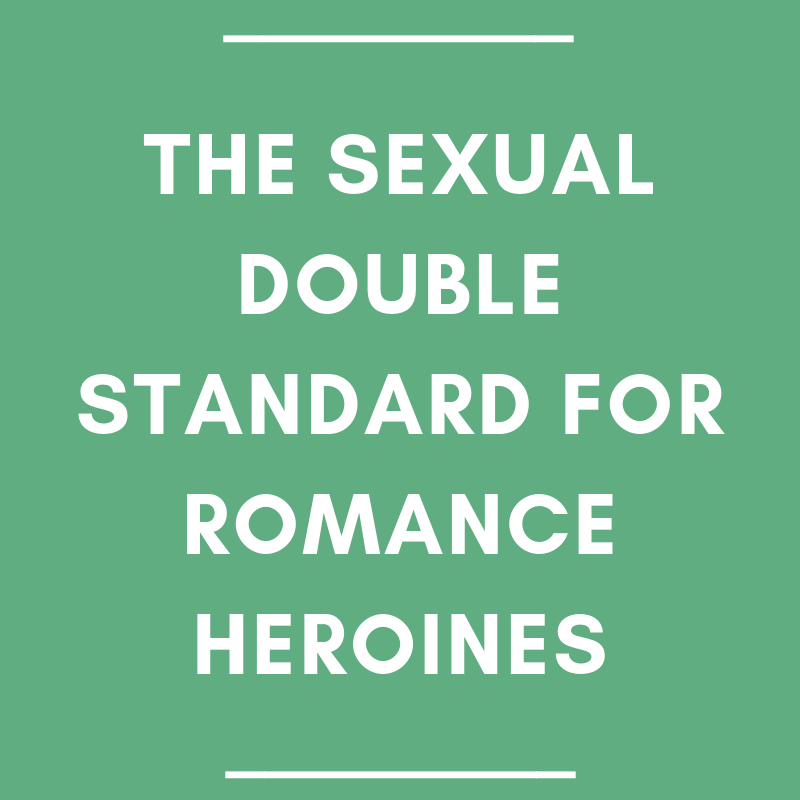 Some readers and reviewers have call these heroines sluts and amoral. They hint, or flat-out say, that the female protagonist is not heroic or deserving of the hero because of her sexual history. There are romance readers who are too judgmental of sexually active heroines. What message are we sending that a woman is not worthy of being the center of her story because she has a sexual history? Do we really believe that a heroine with a healthy libido doesn’t deserve a happily-ever-after? There might be a list of reasons why I should write virginal heroines, but just having to ask these two questions is reason enough why I shouldn’t.